Maybe you’re new to the area, or maybe you’re just looking to switch to a new dentist in Bradford. You most likely have some questions before choosing a dentist. Here are the top ten questions moms have before choosing a dentist in Bradford. Let’s start with the most obvious question. How much is it going to cost? Some dentists are more expensive than others, but remember, you get what you pay for. When you’re comparing dentists, it is completely reasonable to ask about their prices. However, until a Dentist examines your teeth they can’t provide a realistic price range for the services required. Many Dentists use the standardized fee guidelines from the Dental Association to base their prices, this is true with Bradford Family Dentistry. Does the dentist cater to children? Do they offer a safe and comfortable environment that will appeal to children and put them at ease? Are there distractions for anxious children? Many dentists offer a choice of videos and music for children while they have their treatment. Some have walls plastered with happy, young patients smiling for the camera. 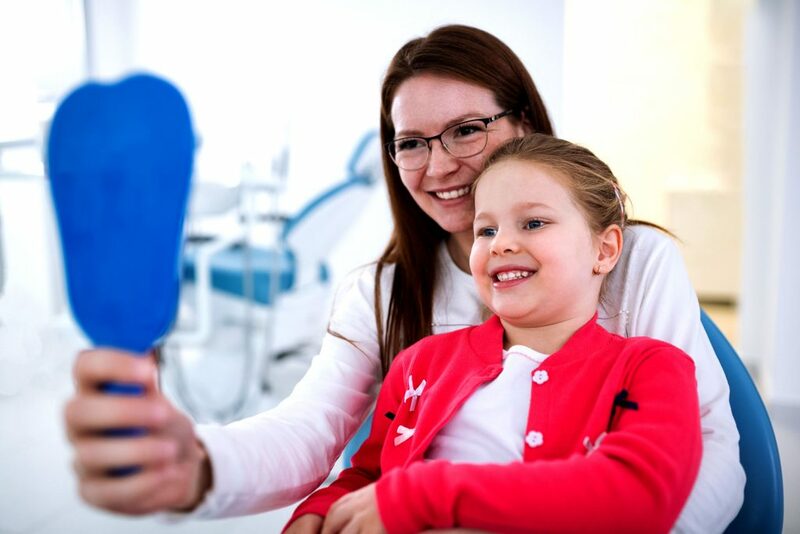 Look for signs of children to ensure that the dentist has comfort and familiarity with young people. Bradford family Dentistry offers 10 pop-culture themed rooms (princesses, movies, superheros, and much more) and a play area that children will love. 3 – Do You Need an Orthodontist? Depending on your needs, you may see a dentist and an orthodontist if your child has corrective issues. Some dental practices, like Bradford Family Dentistry, offer both services. 4 – How Often Do You Need an X-Ray? Yes, your child’s teeth are growing, but you don’t need to pay for a battery of x-rays every time you schedule an appointment. Ask the dentist what they recommend. Every six months is a standard to go by, but once a year is also fine if your child has good dental habits and no problems with crooked teeth or an awkward bite. 5 – How Up-to-Date is the Dentist on the Latest Research and Techniques? Like any other profession, dentistry requires its practitioners to be current in their habits and learning. Dentists should constantly be updating their skills and ideas to provide you with the best treatment and experience. At Bradford Family Dentistry, Dr. Jesse Chai is a best-selling author and regular contributor to various industry publications, and the clinic boasts the latest teeth scanning equipment and same-day crown technology. 6 – How Does the Dentist Rate in Reviews? These days, everyone is an armchair critic; all it takes is an Internet connection and a few minutes to write a review. You should invest time in reading reviews. Keep in mind that a lot of reviews are written when people have a negative experience. Look for the positive. At Bradford Family Dentistry, we’ve posted honest experiences from real patients. We’re proud of our reviews, and we encourage you to read them. You can find our reviews here. 7 – What is the Dentist’s General Philosophy? Does the dentist advocate a preventative approach, for example, good oral hygiene and eating habits? Preventative medicine is all about the healthy habits we form so we don’t need to rely on the dentist or the doctor to fix everything. At BFD we approach oral health as an important factor in your overall health. If your mouth is sick, the rest of your body can suffer. And if we see issues they may be a sign that there are other health issues involved. We take your overall health seriously and will provide a treatment plan that includes a focus on prevention. 8 – Does the Dentist Offer an Initial Consultation? This is your opportunity to interview the dentist and ask all the questions you may have. It’s a chance to see how the dentist and other staff members interact with you and your child. Pay attention to their reactions to your questions, and how you feel during the consultation. Unlike doctors, many dentists are actively taking on new patients. Any good dentist will want to work for you and with you and your family. 9 – What Emergency Services Are Offered? Hopefully, you’re never going to need this for your family, but accidents do happen. Find out if the dentist is affiliated with an emergency clinic or offers after-hours services and same-day emergency appointments. 10 – Are they on Social Media? You don’t have to look for a Facebook, Twitter or Instagram star, but it’s helpful if your dentist has a social media presence where you can check in to find out what’s going on. An active, happy dental practice will have lots to report and share with patients, and the easiest way to do this is through social media. Check out their account. Do they post informative articles and share new research findings? Social media is a powerful tool, and any savvy dentist will have a presence. At Bradford Family Dentistry, we’re proud of our stellar reputation in the community of Bradford West Gwillimbury and our long-standing relationships with families. We truly go above and beyond to ensure that your child has a comfortable, relaxing experience. Read our reviews and come in and see for yourself, we’re looking forward to welcoming you to our dental family. READY TO DISCOVER A NEW FAMILY DENTIST THAT HAS EVERYTHING YOUR FAMILY NEEDS?